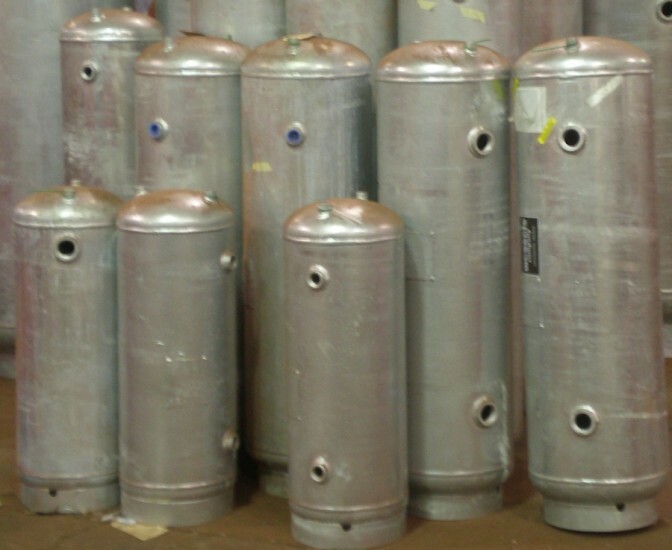 Compression tanks are designed to absorb expansion forces and control pressure in heating/cooling systems. This tank is the oldest style design used in these systems and works well when the air is controlled and kept in the tank, not in the system. Wessels type NAG Compression Tanks are hot-dipped galvanized, interior and exterior, carbon steel, vessels. They are designed for commercial and industrial systems that require internal and external protection that is more robust than traditional fabricated plain steel designs. They are designed to store water isolated within the tank, utilizing the captured air cushion to control system pressures. The NAG Series Compression tanks are ASME plain carbon steel expansion tanks. They are designed to absorb the expansion forces and control the pressure in heating/cooling systems.